Location: Glendale, Nova Scotia, Canada. Glendale Mountain Road and your land on the left hand side. Nearly 1 kilometer of road front. Road frontage going up Cameron's Mountain Road. The 30 acres is on both sides of the road. Mountain Road running through the acreage. Overhead view showing the acreage and approximate property boundaries. 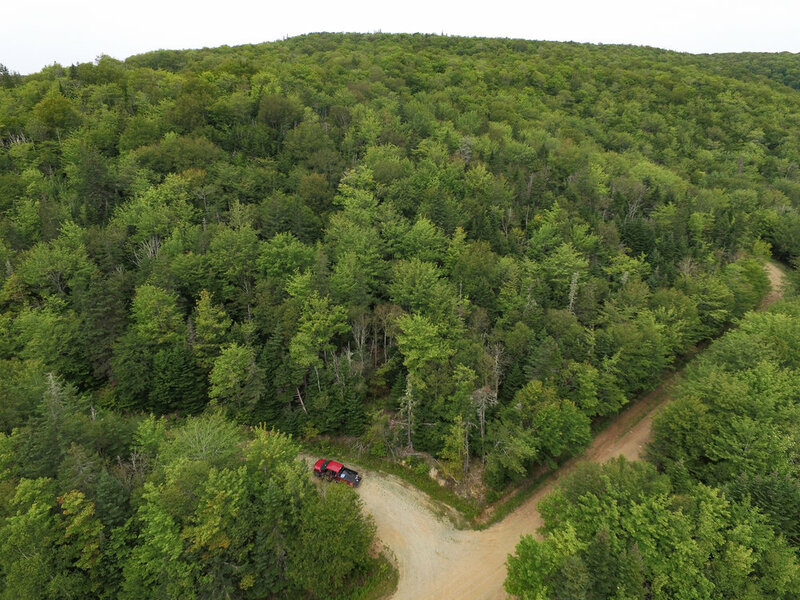 The land measures 30/- acres in size. This picture was taken within the land along another small trail that runs up through the land. 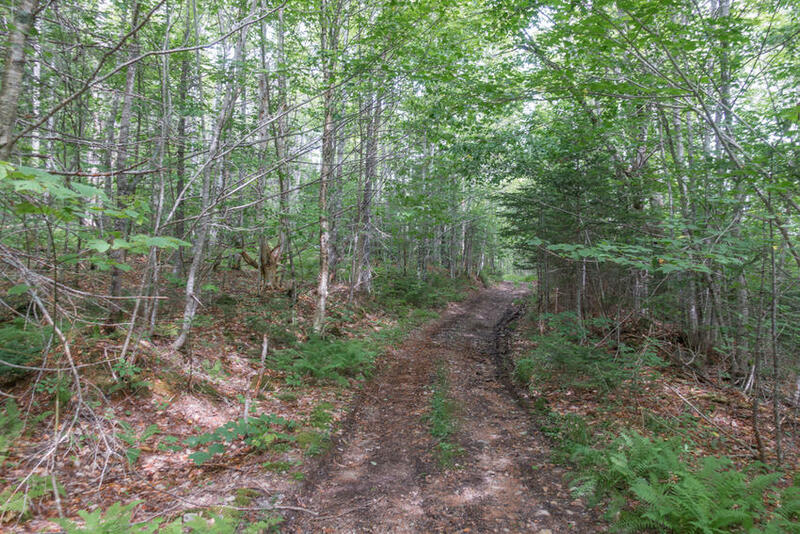 From this recreation trail you can explore the surrounding crown lands and forests. A small brook that runs through the land. This picture was taken within the property. Treed throughout in a variety of hardwood and softwoods. This picture was taken within the property. Looking towards the 30 acres from 100' +/- altitude. From Highway 105 (Trans-Canada Highway) the exit to Glendale Mountain Road. 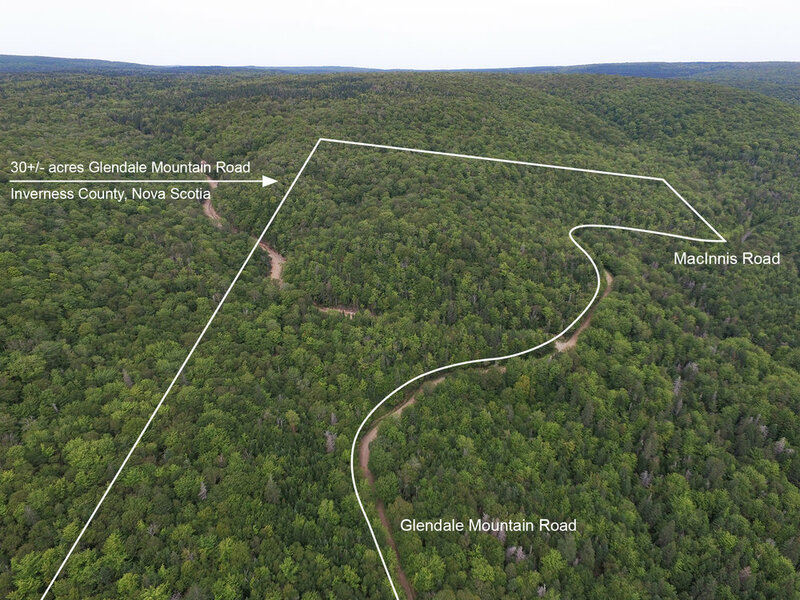 Air photo showing the 30 acres outlined at Glendale, Cape Breton Island. 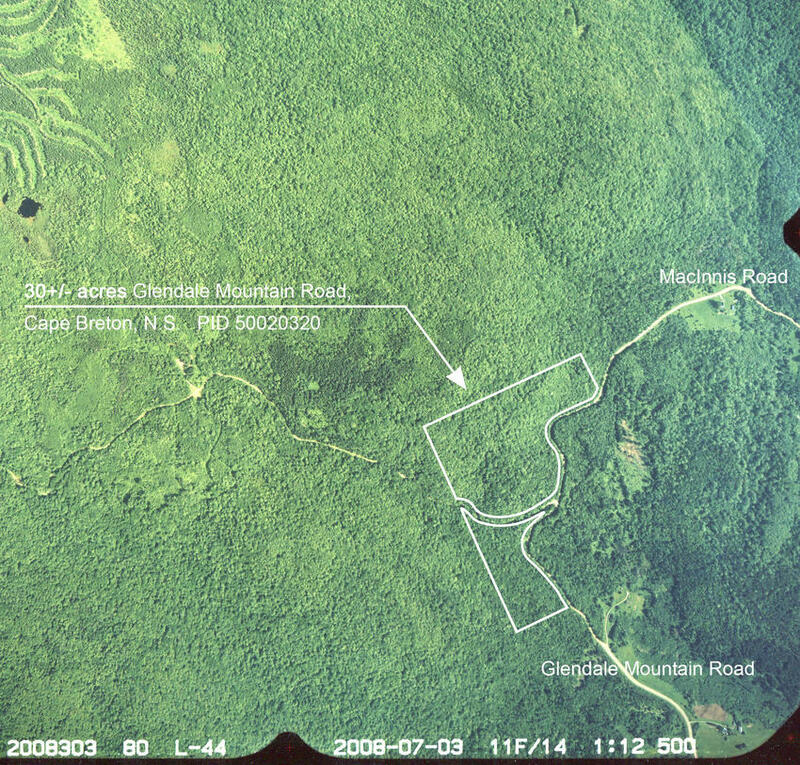 A topographic picture showing the 30 acres outlined. The land is sloping. A map showing the location of your land. 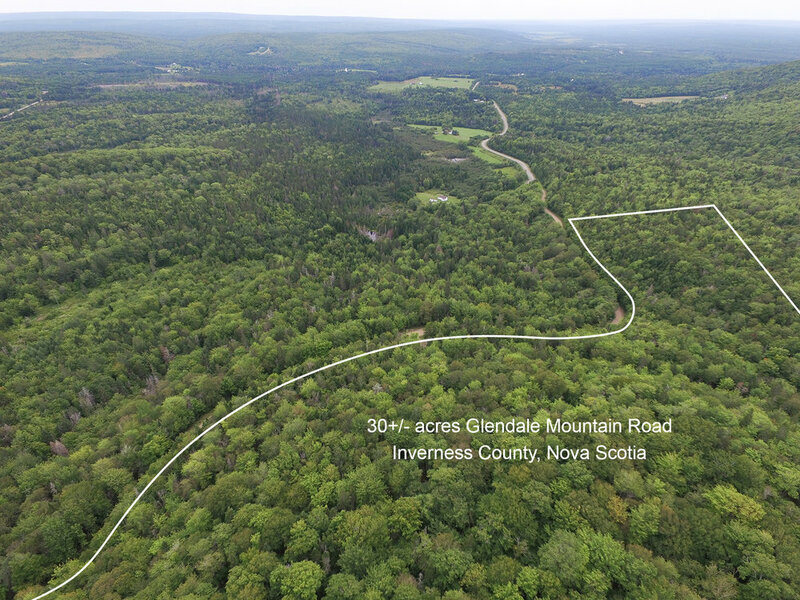 Good access just a few minutes off Highway 105 (Trans-Canada Highway) between the town of Port Hastings/Port Hawkesbury and Whycocomagh and Baddeck. 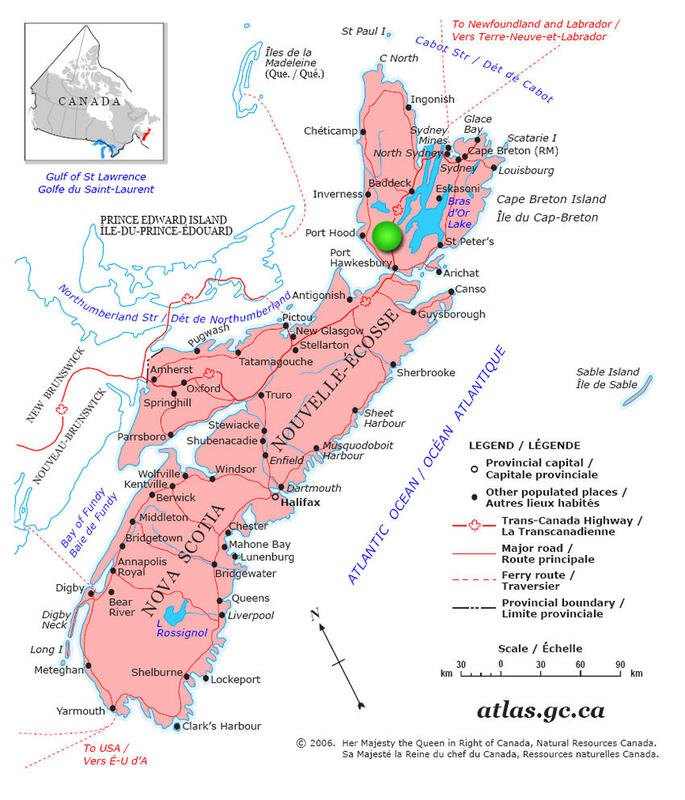 Map of Nova Scotia indicating the location of your land (green dot) on Cape Breton Island. 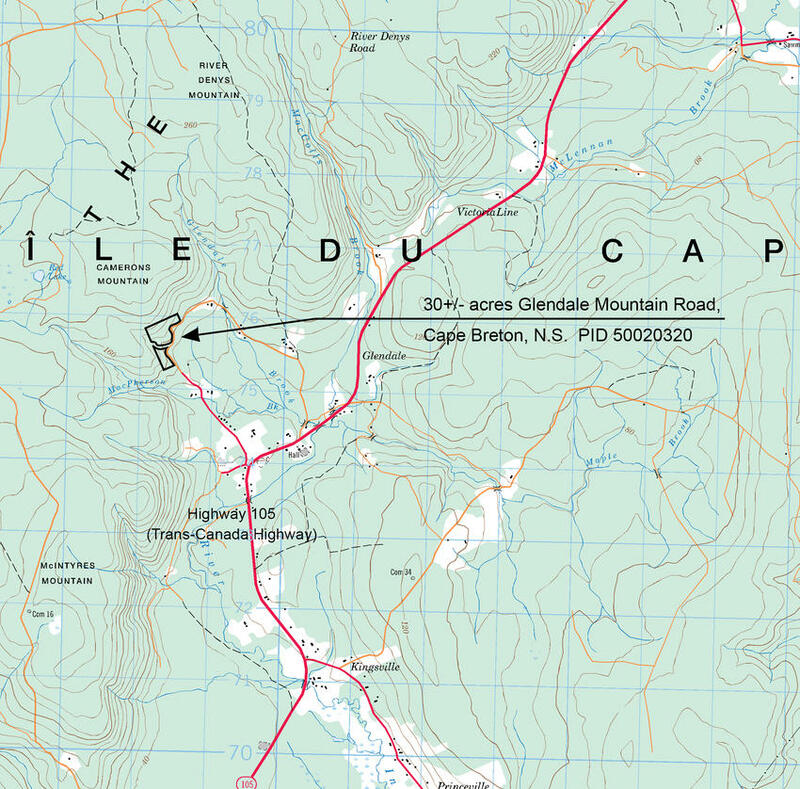 That parcel of land situate, lying and being at Glendale, in the County of Inverness, Cape Breton Island, in the Province of Nova Scotia, CANADA. Comprising an area of 30 acres, more or less. - Approximately 3120 feet frontage along Glendale Mountain Road and Cameron’s Mountain Road. - Brook and ravine through the parcel. - An excellent parcel for the outdoor enthusiast. - The annual property taxes are about $120/year. - 20 minutes to the town of Port Hastings and Port Hawkesbury an the Canso Causeway, to the South. 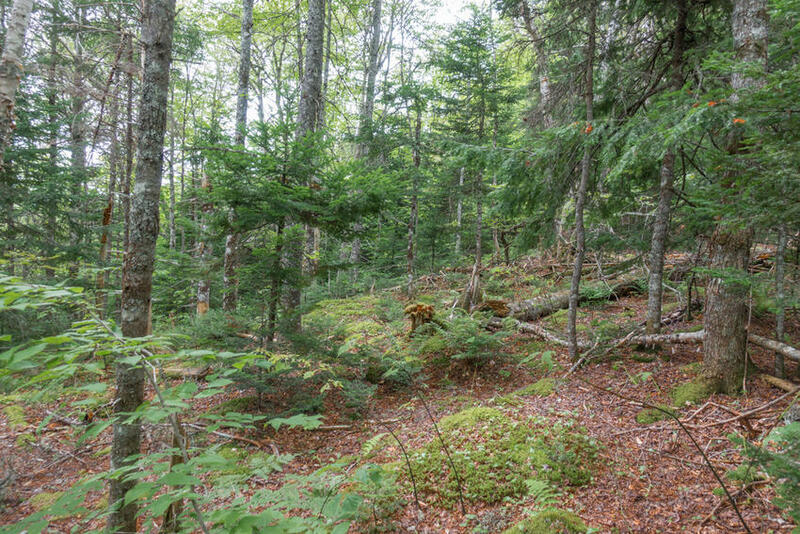 - 20 minutes to the village of Whycocomagh, to the North. - Under an hour to the popular lakeside town of Baddeck and the start / finish point of the World Famous Cabot Trail. - Under an hour to the bustling University Town of Antigonish, Nova Scotia. - 2.5 hours drive to the International Airport at Halifax (Capital city of Nova Scotia). 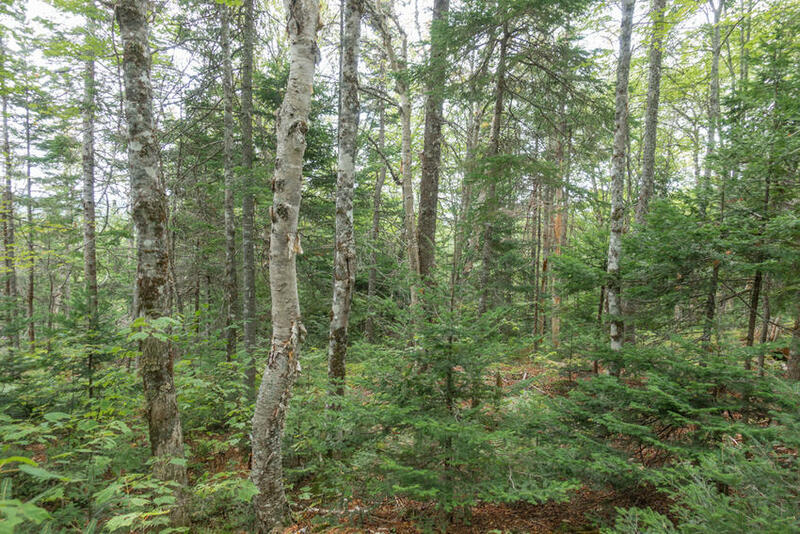 This 30 acre parcel beautifully wooded throughout in evergreen and deciduous trees - Spruce, Fir, Maple and Birch trees. 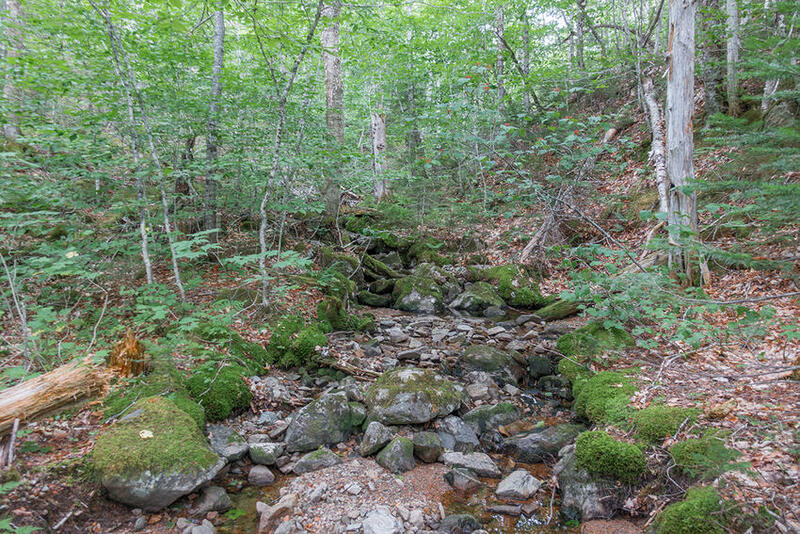 The ground is sloping and there is a small brook that crosses through the property. 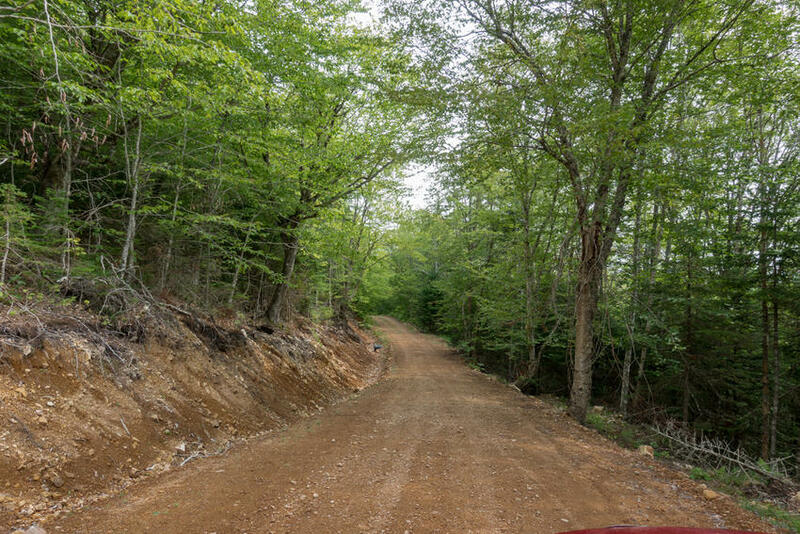 With nearly 3120 feet (950 meters) of road frontage along Glendale Mountain Road and Cameron’s Mountain Road you have great access along the parcel and options for an entry into the land for driveway and camping or building site. Though there is currently no power directly to the land, the nearest neighbour with power and phone line is only a short distance from your land. 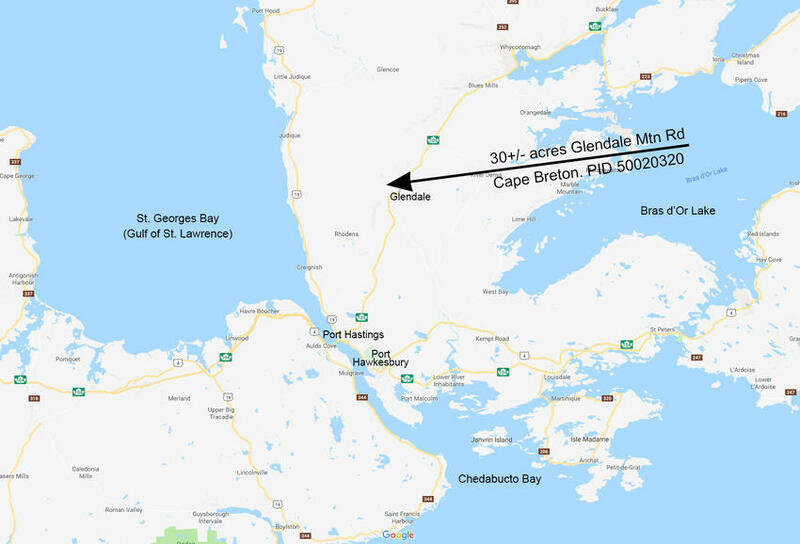 All season access to the land via Highway 105 (Trans-Canada Highway), running North / South through Cape Breton Island, is very good. The land is sloping upwards from roadside rising from an elevation of (100 meters to 160 meters) at the Northerly property line. There are many possibilities to clear an area on your land and enjoy it for camping and outdoor recreation. Here you may build a remote wilderness cabin tucked away among the trees and nature. This is a fantastic region for hunting small and big game, and for outdoor activities like four-wheeling, off-roading, dirt biking, hiking. In winter months the snowmobiling here is excellent along with snowshoeing, and cross country skiing. 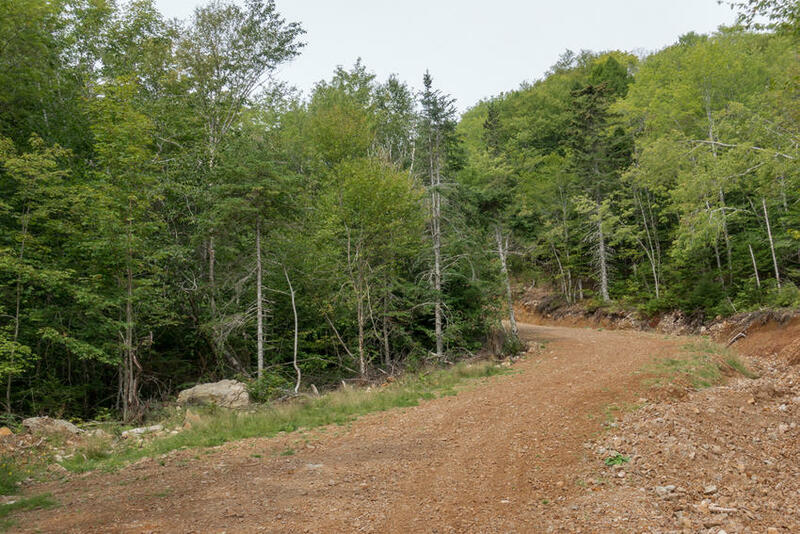 The backroads road network towards the communities of Judique, Whycocomagh and even up to Hunters Mountain and the Cape Breton Highlands is vast and allows incredible outdoor adventure for you and your family. If you enjoy fishing, boating and watersport, it is really not far from ocean waters, the Gulf of St. Lawrence, Canso Strait, the Bras d’Or Lakes and the Margaree River. The Bras d’Or Lakes offers world class boating and sailing opportunities with miles of interesting coastline, islands and peninsulas to explore. The waters are friendly, nearly fog free, and tides are minimal. 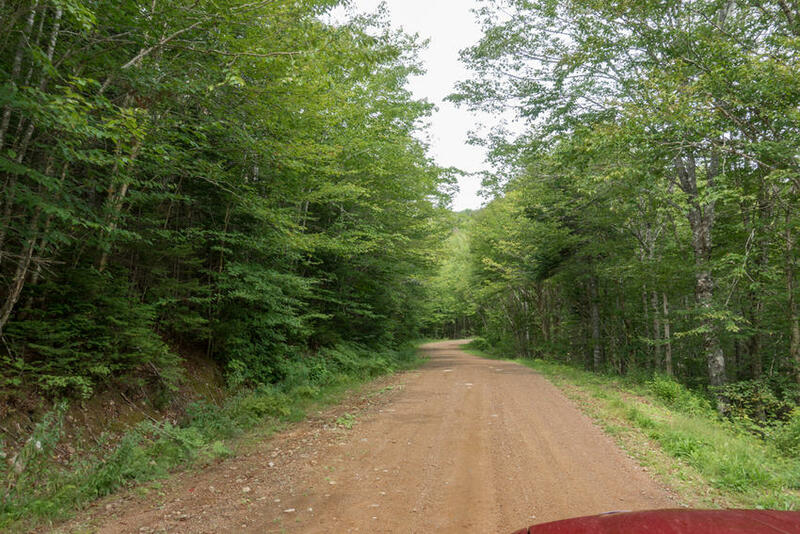 Once you are on the main highway, only 1.3 miles (2.2 kilometers) from the acreage, you are within convenient driving distance to several nearby communities with amenities. Baddeck and Whycocomagh are to the North. Port Hawkesbury and Port Hastings to the South. Highway 105 north will connect to the world famous Cabot Trail where you can explore the Cape Breton Highlands National Park - hiking, whale watching, sightseeing, spotting moose are everyday experiences up in the highlands. Ocean beaches are easy to reach along the west coast of Cape Breton Island and along the shores of Bras d’Or Lake. Getting here is easy. From Halifax take Highway 102 North to the Town of Truro. Continue North on Highway 104 (Trans-Canada Highway) towards Cape Breton Island (168 kilometers or 1.5 hours). 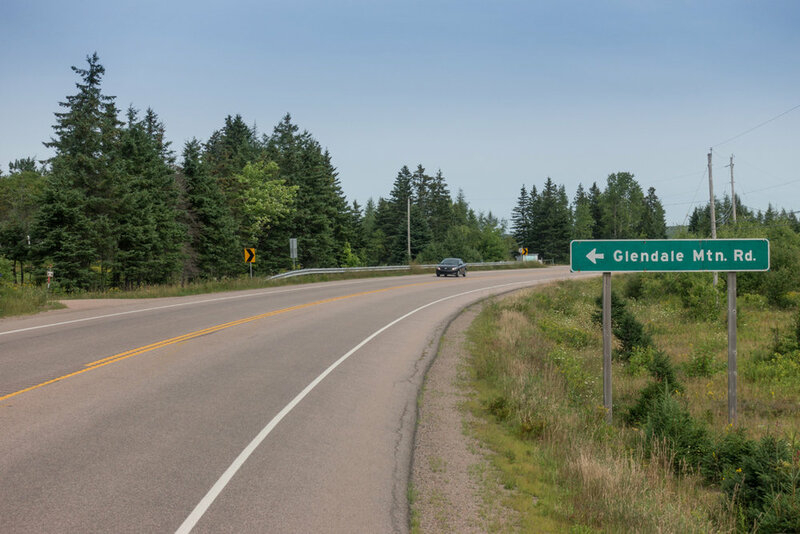 Once you have crossed the Canso Causeway onto Cape Breton Island continue North on Highway 105 (Trans-Canada Highway) towards Whycocomagh and Baddeck (21.5 kilometers or 15 minutes) to Glendale and Glendale Mountain Road on your left. Follow Glendale Mountain Road for 1.3 miles (2.2 kilometers) past some open farm lands and nicely kept homes to your land on the upper side of the road (on left). PRICE: Term Sale: $24,500.00, payable $2,180.00 down payment and seventy-two (72) monthly payments of $310.00 each, and interest. Additional 10% discount if paid in full within 30 days: $22,050.00 if paid $2,050.00 down payment and the balance of $20,000.00 within thirty days thereafter.